Can't let my GPA go down just because I got beat up in class. 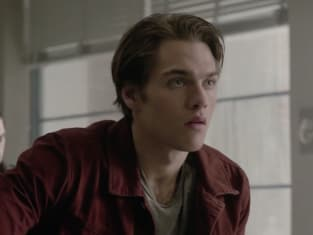 Teen Wolf Season 6 Episode 18: "Genotype"
Theo: Aren'y we supposed to keep both halves apart? We know about one half, let's just go for that one. It's Aaron. Mason: I'm not agreeing with Theo, but I think it would be easier to track down Aaron over a voice on the phone. Liam: That's agreeing with Theo. Mason: Yeah, but I thought I'd try to soften the blow a bit. Theo: Is everyone completely shocked that I might be right? Liam: No, we just don't like it. Permalink: No, we just don't like it.